Rhetoric from both sides of the debate is being used to fuel arguments about what to do when the wind doesn’t blow, how to store renewable energy, base load power requirements, clean coal and carbon capture, additional interconnectors, regulatory reform, and who is politically responsible. Both sides of the debate have valid arguments. One area where consensus seems to be building is around the use of gas fired power as a transitional energy source. The Australian unconventional gas industry, particularly coal seam gas (CSG) has had an awkward emergence into the energy market. The CSG industry has struggled with effective stakeholder engagement, environmental issues, and political management. Yet out of all the bad publicity a new industry has emerged and is now a successful part of the Australian energy industry. In Queensland, every LNG ship that leaves the port of Gladstone means that the Queensland and Federal Governments receive around $3.8 million in royalties and resource rent tax. 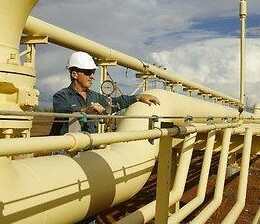 In addition to this money the Queensland gas industry pays company taxes and employs around 30,000 people. In a time where state and federal government revenues are stagnant or declining, new sources of income are to be treasured. Yet, every ship that leaves Gladstone also highlights how much of the Australian gas production is being exported. If gas is to be the transitional energy source that provides reliability to the Australian energy market, more gas reserves need to be dedicated to the domestic sector. In January 2017 the Queensland Government set aside a 58-square-kilometre reserve exclusively for the Australian energy market. This is a start, but the lease is not large enough to either provide security of supply or to keep downward pressure on the domestic price of gas. The politics and the moratoriums (both official and unofficial) on on-shore gas developments in Victoria, New South Wales and Tasmania will need to change if gas is to be the transitional energy source that provides reliability to the Australian energy market. This is not to say that new gas developments will not be challenged or difficult to implement, but Australia now has a decade’s worth of experience with CSG. While it’s still a new industry and constantly undergoing improvements, the fear of the unknown associated with CSG is diminishing. The CSG companies, regulators, agricultural industry, and environmental groups have been working with each other for years. Many lessons have been learnt, processes and regulations have been changed to ensure that appropriate safeguards are in place. We need to properly acknowledge the environmental concerns, learn from the mistakes of the past and educate all the stakeholders. With proper planning and consultation the unconventional gas industry can safely and sustainably expand and provide Australia with a reliable transitional energy source of the future. If you are interested in being exposed to the most critical issues facing the Australian gas industry and want to gain an understanding on likely directions in the next few years, join Ben and the Australian Water School at the 2nd Gas Policy and Water Management two-day course. **The views and opinions expressed in this article are those of the author(s) and do not necessarily reflect the position of ICE WaRM.